Some girls prefer diamonds and roses, but I get more out of things that I can either use or collect. 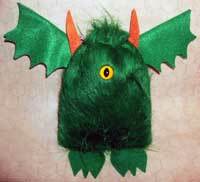 Enter the Dice Goblin dice bags from an independent artist. Handmade and sturdy, I often get compliments on mine. 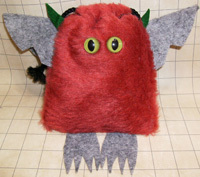 Available in the U.S. and internationally, the Dice Goblin dice bags are on sale now. While these bags are unisex, whenever I pull mine out the screams of 1,000 squees can be heard throughout a convention hall. Available in the U.S. and internationally, these handmade dice bags are twenty-percent off through Saturday, July 30th. You can also order custom Dice Goblin dice bags, which aren’t that much more expensive than the sale-priced ones. To see a sample of all the Dice Goblins this artist has available, be sure to check out the adopted Dice Goblin dice bag photo gallery. There’s some really cute ones in the archive and I’m thinking about picking up one in a different color. Why? To color-coordinate with my purple dice, of course! In addition, Arc Dream will have a few for sale in the convention hall, booth 711.